Texas Jumps is a Bounce House Rental Company serving Mansfield, Arlington, Fort Worth, and surrounding areas. 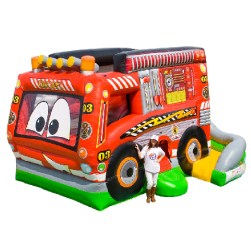 We carry a large variety of bounce slide combos, and bounce houses. We also provide rock climbing walls a mechanical bull and many interactive games, inflatable obstacle courses, both wet and dry slides. Incorporated in 2000. Our company and staff are very experienced and will assure that you party or event goes perfectly. We are fully insured and all of our units are inspected annually as required by the state. Tags: Bounce house rental Arlington TX, Bounce House Rental Crowley Tx, Bounce House rental Fort Worth TX, Bounce House Rentals Cedar Hill TX, Bounce House Rentals Kennedale TX, Bounce House Rentals Mansfield TX, Bounce Houses for Rent in Fort Worth, Fort Worth Moonbounce, mechanical bull rental Dallas TX, mechanical bull rental Fort Worth TX, Rent an Inflatable Slide Ft Worth, Rock climbing wall rental Dallas TX, rock climbing wall rental Fort Worth TX, Texas Jumps Houses, Texas Moonwalk Rentals, TX Moonbounce Business, Where to rent a moon bounce in Texas?